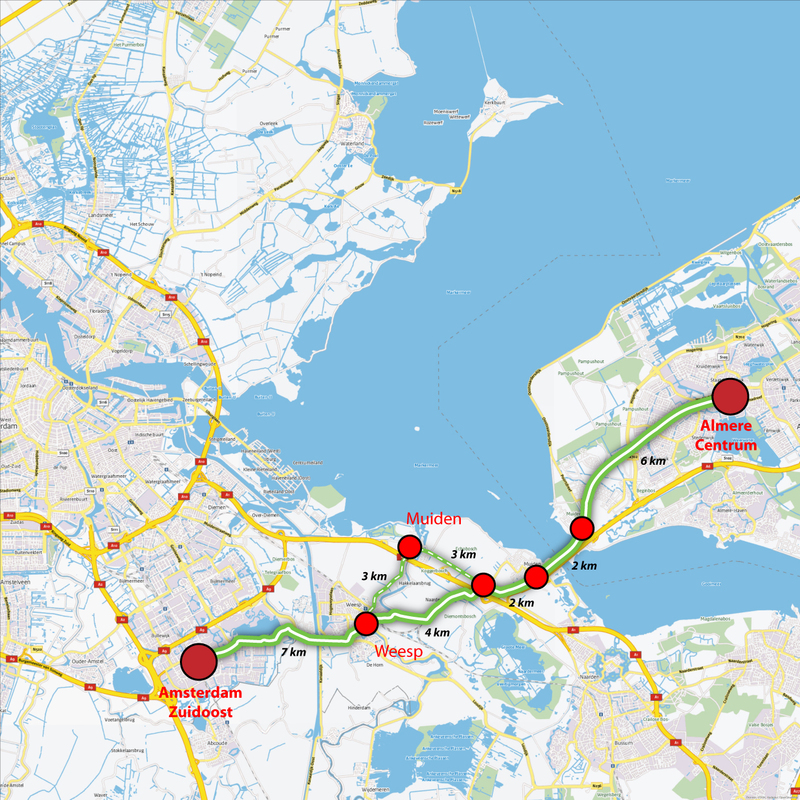 The Electric Freeway is a bicycle highway between Almere and Amsterdam Zuid-Oost that is also used by electric scooters. Due to the considerable amount of traffic on the alternative route – the A6/A1 motorways – e-bikes can compete with cars in terms of commuting time: despite the considerable distance between Almere and Amsterdam, with the shortest route being approximately 15 kilometres, motorists nonetheless regularly choose their e-bikes over their cars to travel between home and work. The Electric Freeway runs straight through the quintessentially Dutch “polder landscape” between Almere and Amsterdam. This wide bicycle route is 20 kilometres long, fully signposted, mostly detached from motor traffic routes, and allows cyclists to charge their e-bikes on the go. It runs through several municipalities: these municipalities are responsible for maintaining the infrastructure.